Cervical spondylosis, also known as cervical osteoarthritis or neck arthritis, is a common age related condition that affects the joints and discs and the neck. 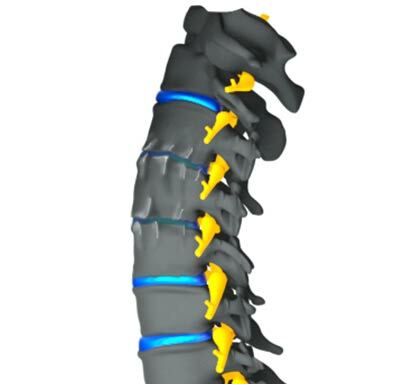 It develops from wear and tear of the cartilage and bone found in the cervical spine. Though it is largely due to age it could be caused, or accelerated by, many other factors. Bone spurs, (overgrowth of bone that are the result of the body trying to protect an injury), dehydrated cervical discs, or traumatic injury tend to speed up the process of cervical spondylosis. Though it is widely accepted that many people over the age of 60 have some spondylosis, they often have no symptoms. However some people who have cervical spondylosis can have chronic severe neck pain and stiffness. This disease of the spine is usually treated conservatively before surgery is considered.